While we do not know a huge amount about prehistory in Egypt, we do know that it existed. In fact, archaeologists have found petroglyphs and evidence of human civilization that dates back to the 10th millennium BCE. It’s believed that these people consisted of fishermen, as well as hunter-gatherers who lived their lives around the Nile. Between 3100 – 332 BCE is the Ancient Egypt we all learn about at school. The initial Ancient Egyptian dynasty made its debut in 3150 BCE, thanks to the first Pharaoh of note, King Menes. 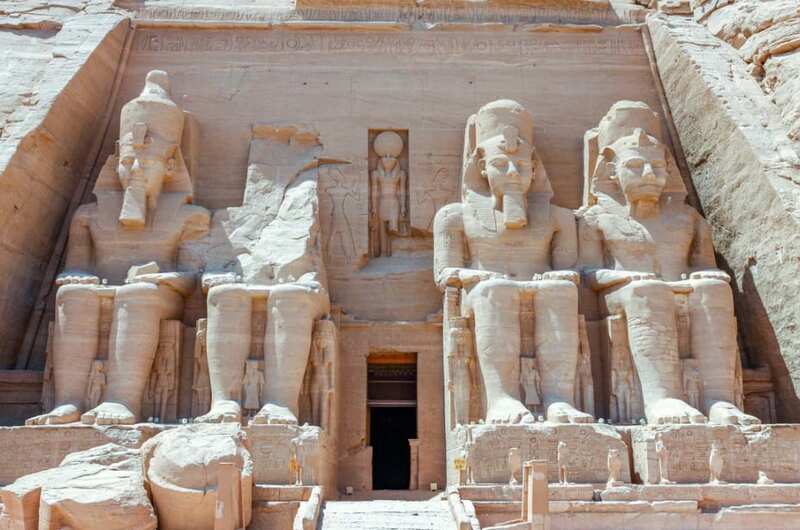 During this time, Egypt flourished as a country, and its people focused on their culture, their customs, their language, their religion and the arts with even more gusto. Throughout this Ancient Egyptian era, Pharaohs such as Tutankhamun, Nefertiti, Hatshepsut, and Thutmose reigned supreme. Although the Ancient Egyptians struggled as their lands were invaded by Assyrians, Libyans, Nubians and more, the ancient people managed to regain control over their country. By 332 BCE, Egypt had become a center for Greek culture and trade – thanks to the Ptolemaic Kingdom succeeding their native Egyptian ancestors. Unfortunately, life in Ptolemaic Egypt was not easy, as native Egyptians were not happy to see their traditional customs and culture overtaken by the Greek way of life. Because of this, Ptolemaic rulers such as Cleopatra felt increasing pressure to adopt the ideals of the Egyptians, which she eventually did before she took her own life. As the years went by, Egypt later became a hub for Roman trade and shipping, which also introduced the religion of Christianity into their culture. 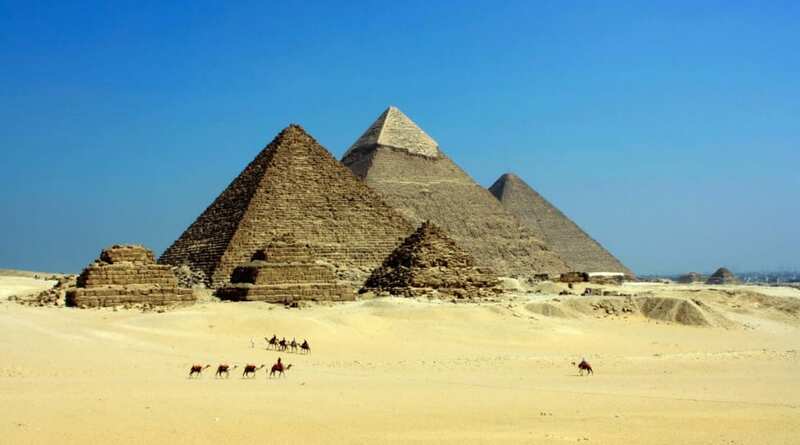 In the 7th Century, Egypt was thrown into uproar when the country was invaded and conquered by the Arab Islamic Empire. The transformation into the Arab Egypt introduced the religion of Sunni Islam into their lives, which soon started to mix with the Christian thoughts introduced in the previous era. Before too long, Islamic rulers were reigning supreme in the country – that was until the country was invaded by the Ottoman Turks in 1517. During this time, Egypt suffered an even more devastating blow when a whopping 40% of their natives were wiped out by the Black Death. By 1882, Egypt had been invaded by the Arab Islamic Empire, the French, the English, and more – and by 1882, the British were in charge of its lands. Despite passing through many hands, these changes made Egypt an even more desirable country, with burgeoning trade passages becoming its main source of profit. Unfortunately, native Egyptians were not happy with the British Protectorate rule over their country, and numerous nationalist groups appeared out of the blue – with the intention to take back what was rightfully theirs. In 1952, the Free Officers Movement within Egypt sparked a revolution to overthrow the leader of the country, with the aim of transforming their country into a republic. They succeeded with their mission that same year, and Muhammad Naguib was given leadership roles – until he was overtaken by Gamal Abdel Nasser in 1954. Currently, under the reign of President Abdel Fattah el-Sisi, Egypt is still feeling the force of political unrest but has managed to maintain this president since 2014. Egypt is so much more than pyramids and tombs. In fact, it has a lengthy and checkered history that is just too interesting to miss out on!